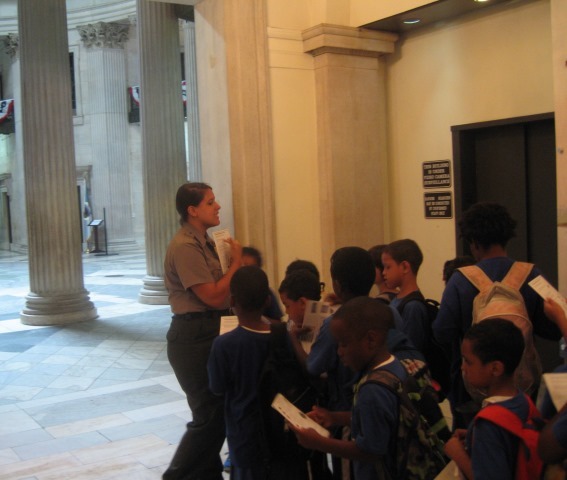 In 1939, Federal Hall was designated a National Historic Site and its stewardship was transferred to the National Park Service. 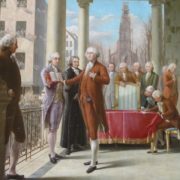 Sixteen years later, Congress re-designated it Federal Hall National Memorial to commemorate the inauguration of George Washington and the invention of American government. 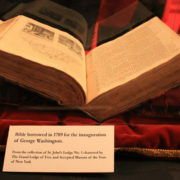 Visitors today can view the bible used by George Washington as he took the oath of office and a section of the railing and a stone tablet from the balcony where he stood at old Federal Hall. 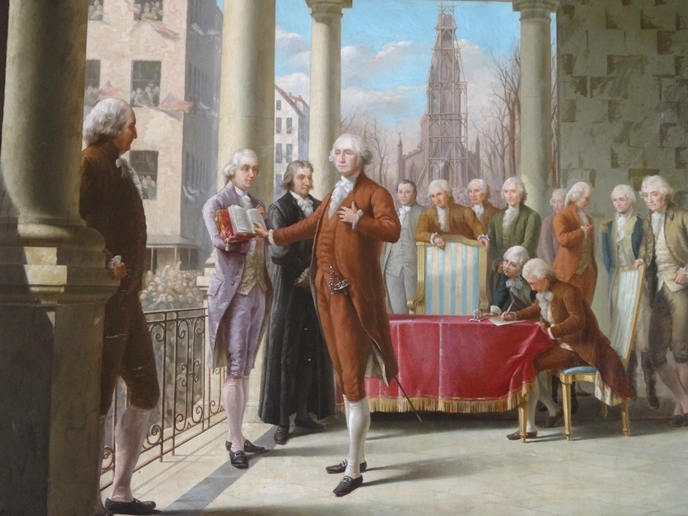 Also on view are models of the original New York City Hall and old Federal Hall, as well as a replica of the printing press from the John Peter Zenger trial. 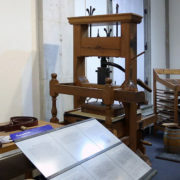 The trial took place here in 1735 and provided an early victory for the principle of a free press. 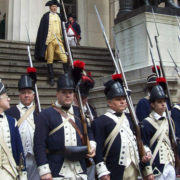 The Wall Street steps, just across from the New York Stock Exchange, is a popular place for people-watching and for taking photos with the iconic statue of George Washington. 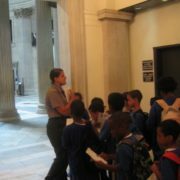 Daily park ranger tours share the site’s extraordinary role in the shaping of American democracy and government. 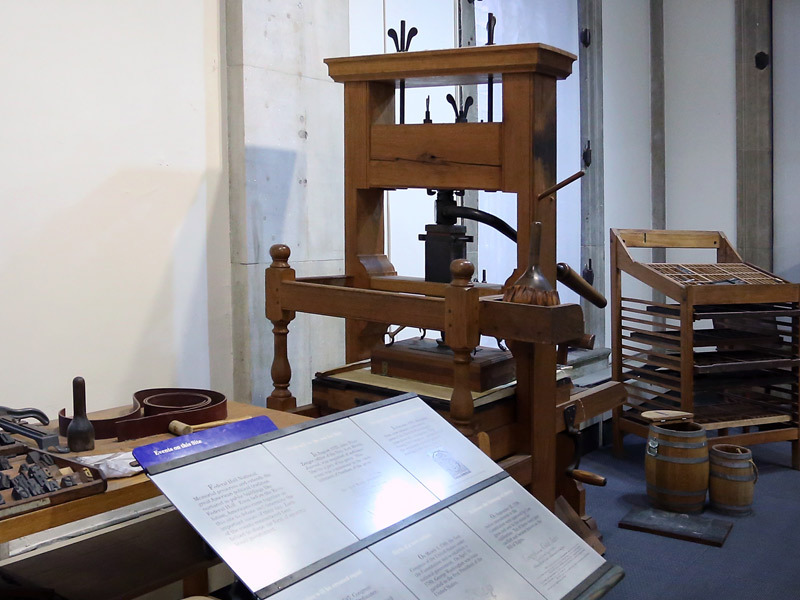 Printed self-guided tours of the exhibits are available on-site. 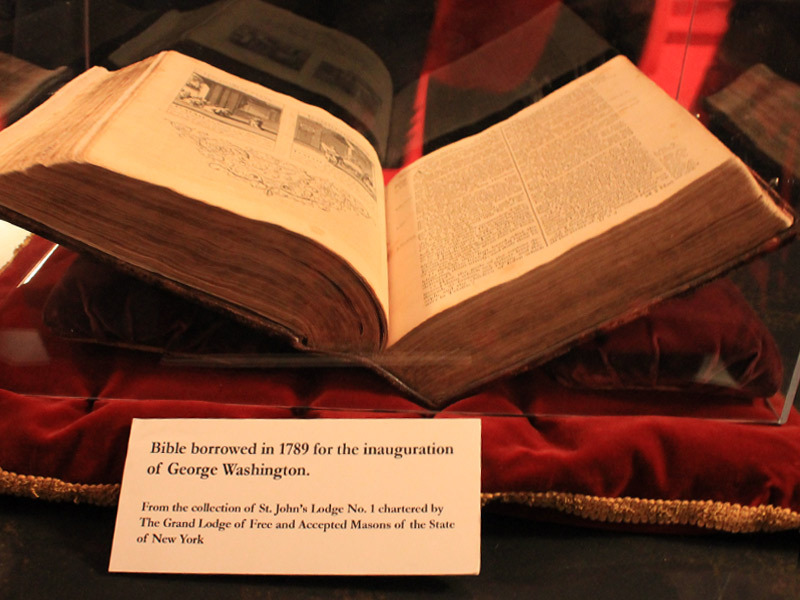 Visitors can also experience more of George Washington’s New York through our tour brochure. 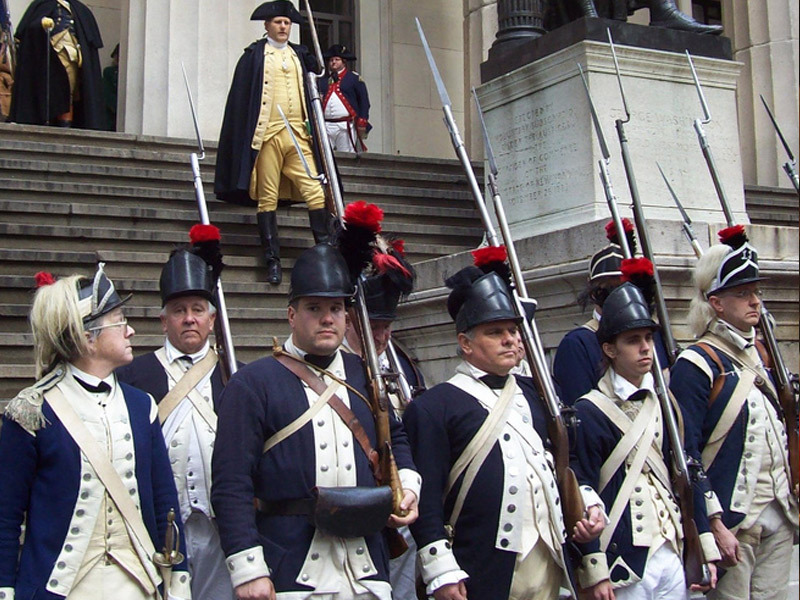 For more information on visiting, call the Federal Hall park ranger desk at 212-825-6990.